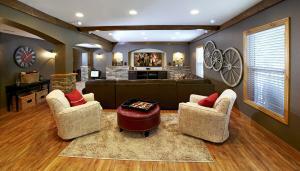 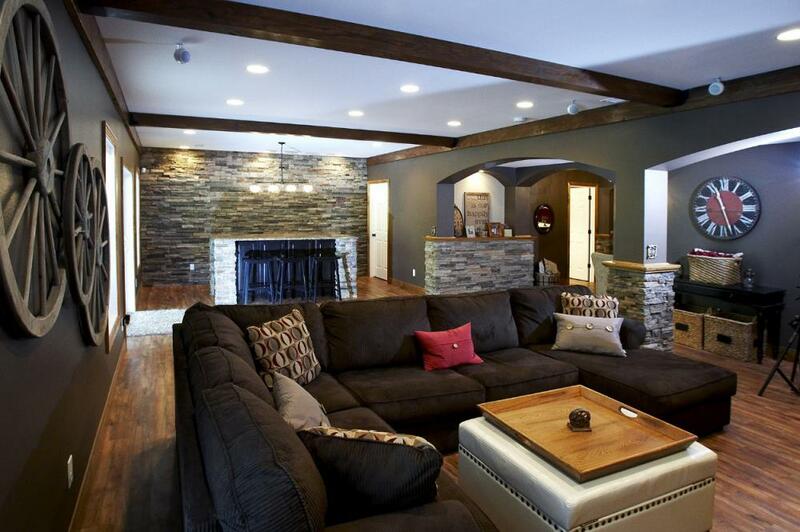 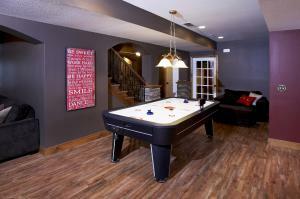 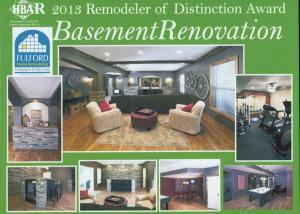 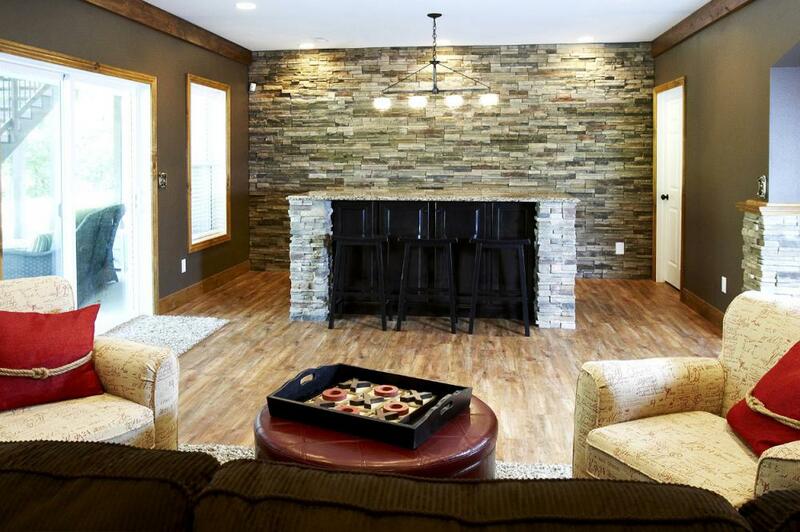 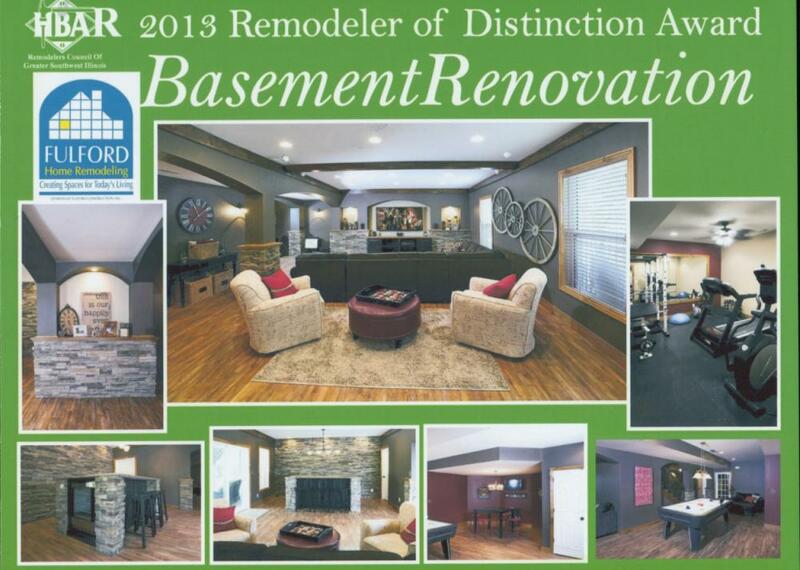 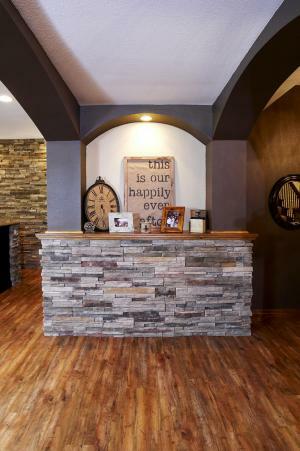 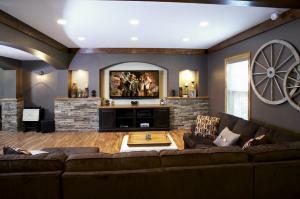 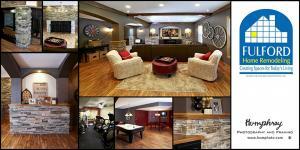 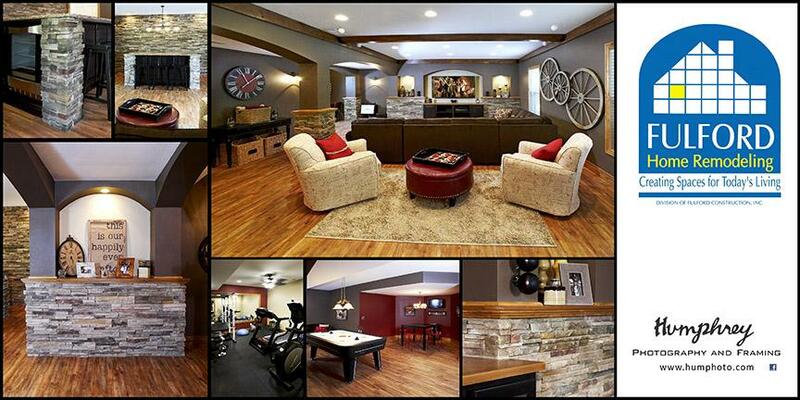 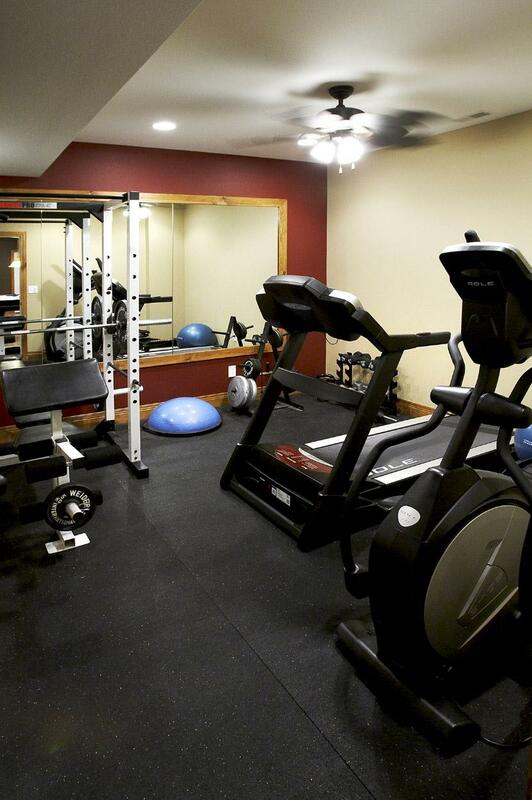 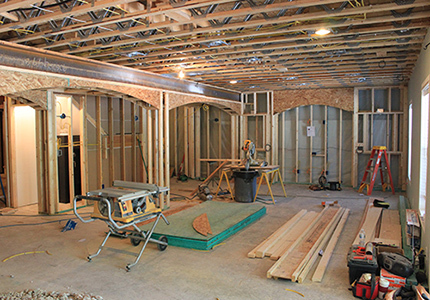 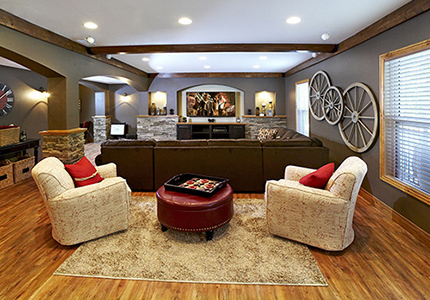 Open basement space meets rustic man cave in this basement finish in O'Fallon, IL. With a growing family these clients wanted an amazing space that would be the “go-to” hangout spot for their kids, family, and friends. 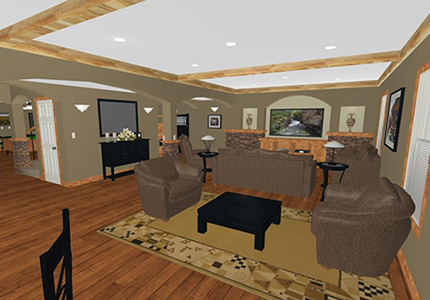 The client's ideas and dreams were brought to life with Fulford's initial 3D virtual design that included custom arches, cultured stone accents, and lighted display niches. 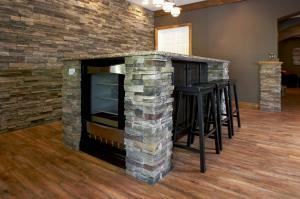 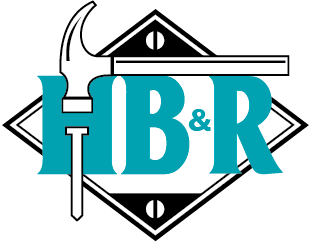 Other basement features included multiple lighting options, water-resistant “vinyl plank” flooring, knotty pine trim-work, an aluminum open-baluster stair system, and a custom dry bar with a Cambria countertop. A great custom design, attention to detail, and final finishes ensured that this lower level will be enjoyed by many friends and family for years to come.